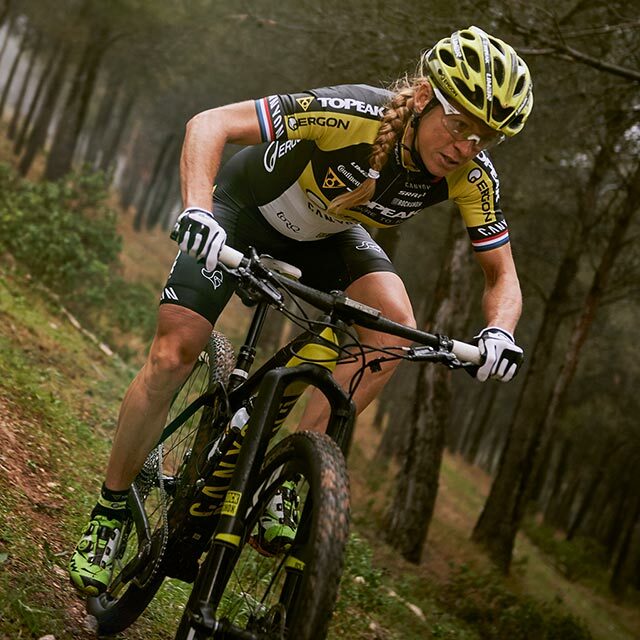 60 kilometers of solo riding in the wind and minutes brimming with emotion—she desperately wanted this gold medal. 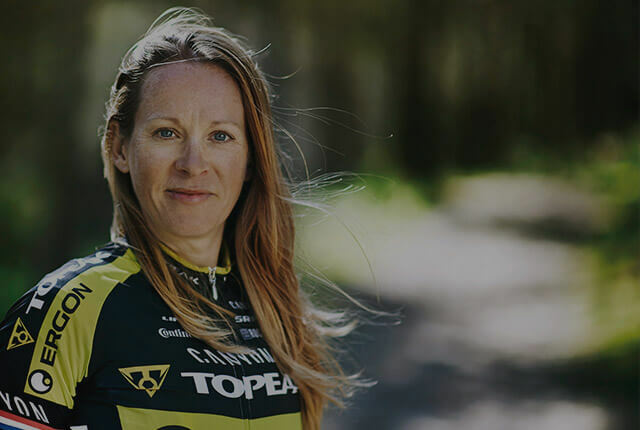 After winning four times European silver and one silver at World Championships, Iron Sally wanted to finally slip over the leader jersey in the Baltic states. The Brit had such a strong will. She went solo after only 20 kilometers. “It was a little risky, because it also was very windy today. 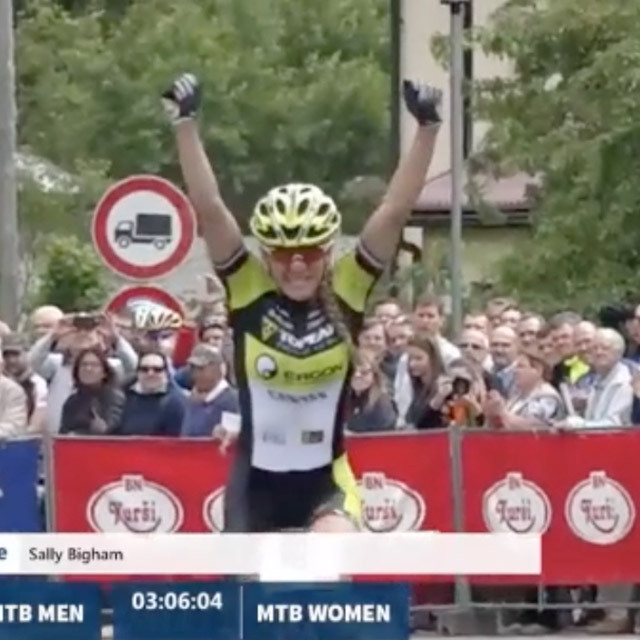 But I saw during the first few climbs that I was the strongest,” Sally Bigham explains her reason for taking initiative so early and then riding solo for 80 kilometers on her Canyon-Hardtail up to the title with a lead of more than 5 Minutes. The lead grew continuously, but the enjoyment only set in one kilometer from the finish line during the last climb when she cranked through an honor guard formed by the audience. Goosebumps included. “It was a very special moment when I rode into the finish, simply great. Our team cheered and it was so nice that I could give them something back after all this hard work,” says Sally Bigham in a faltering voice. “No Silver Sally today,” adds Sally laughing. No, it’s a radiant Golden Girl from the Topeak-Ergon racing stable today in Sigulda.